For 2-4 Players, Ages 10 to Adult. Includes booklet of instructions. Like Rummy, but with more interesting interactions and special cards that allow for clever play and risk/reward. Almost a perfect game for 2 players. By far my favorite two-player card game. 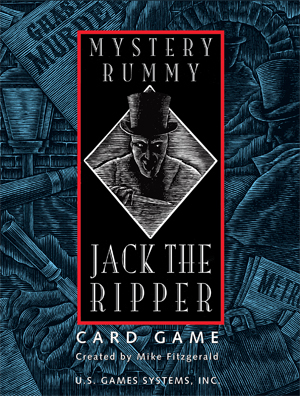 It's a pretty standard rummy game, but the "Ripper Escapes" mechanic keeps things interesting. 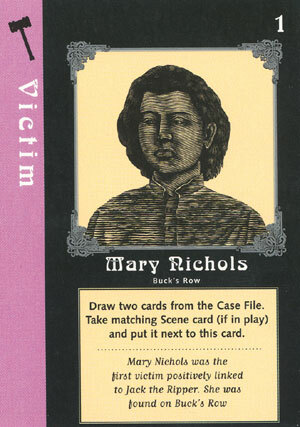 Plus, the theme is executed (groan) perfectly: the art is great, theme and mechanics are logically linked.